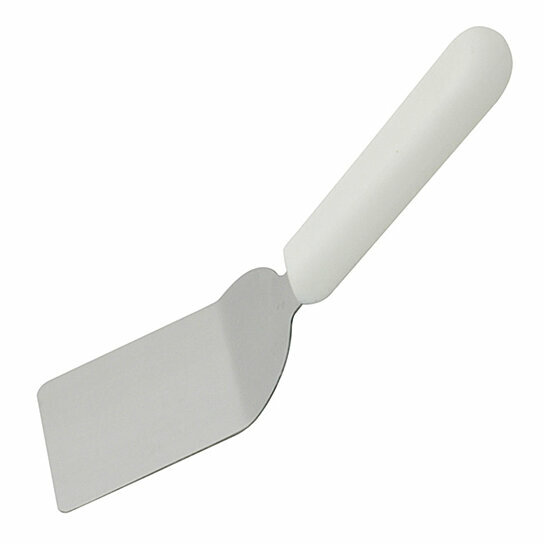 Brownie server with stainless steel blade and white plastic handle. Size: 7.5" x 2.25" x 2", Country of origin: China. Brownie server with stainless steel blade and white plastic handle. Size: 7.5" x 2.25" x 2"